Well, I can’t believe another season has passed by on the Airfield Lake. It’s still a real shame we can’t fish any Winter months. When I say Winter, I suppose it’s really Autumn months. We only get September (October would be nice!). We’ve all asked and there is no chance, so we have to live with that. Unfortunately, the UK suffered the first frost of Autumn this week and carried on a few times this week and the last weekend of September was going to be no change. We started the season on here with a cold snap and we were going to finish it the same way. Mind you, the day temperatures were pretty good, so there was a good bit of hope for a carp or two this weekend. Swim selection was based around avoiding the very cold N/E wind blowing and that was the choice of the most angler’s this weekend. I was fishing with Ian again, he arrived before me and after a couple of phone calls, we opted for the spit between the big lake and the middle lake. We both fished into the middle lake, with the wind behind us. I fished along the tree-lined margin and Ian fished in open water and according to the Deeper the water temperature was still quite high – hence the misty mornings this week. It was still reading 16c which was pretty good. I baited a perfect area with just over 2 kilos of mixed Hemp and Tiger nuts + catalyst and Smokey Jack boilies. I fished a couple of wafters over the area, one was was close to the trees and the other was a few yards off them. The baited area covered them both. My first take arrived around 0430 to my right-hand rod and it just blasted off in true Airfield Lake fashion. I was out and up in a flash but quickly got the fish under control, away from the trees and nicely moved around my other line. After a very hard fight, as normal from these fish, there was a lovely twenty slipping into the Nsr. I redid the rod and got it back out there but I was going to have a brew, watched the lake until first light and then reposition the rod again. I really needed to make sure it lands on the spot and not 3 or 4 ft the other way. We all know, despite your best efforts at night, there is always a chance you could be off a bit, which I don’t feel is too much of an issue normally but I just needed to know the bait had landed on the hard spot and not just off. It felt good when it landed but I wasn’t prepared to thrash the water with multiple casts at this time of the morning. If I gave it an hour, there would be enough light about and I wouldn’t disturb my swim. After the light came up, the rod looked like it was perfect and I left it there until just after 11am and then re-baited for the day/ night. I was surprised that no more were had and despite the glorious day, evening came around all too soon and the last night on the Airfield lake was upon us. The second night was a complete flop without a fish between us. I was very surprised, to say the least, as I had been getting liners all night and was just waiting for the rod to rip off. It was just not going to happen and as I needed to be home early for due to a few family commitments. I was off by 0930 and saying goodbye to the lake until mid-March next year. Bring on the Autumn/ Winter on the river and Meadow lake after some pike and even maybe chub this year, not forgetting some Winter carp trips on Meadow lake. 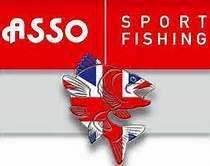 This entry was posted in Asso Fishing Line, Betafin Pellets, big pit reels, Carp fishing, Carp Tackle Supplies, Deeper Pro Plus, Delkim Buzzers, evolution carp tackle, Finygo, Fishing, Fishing App, Fishing Video's, Monster Laeds, NSR 50, Ronnie Rig, SHIMANO ULTEGRA, Smokey Jack, spomb, Spotted Fin, The Catalyst and tagged #carp #carpfishing #carplife #tacklefanatics #assofishinglines #spottedfin #Catalystboilies #Finygo #catalystpellets #jointherevolution #evolutioncarptackle #deeperproplus #Catalystboilies #catalystpe, #deepersonaruk, assofishinglines. Bookmark the permalink.